how can you go wrong with bells in flowers? you can't! 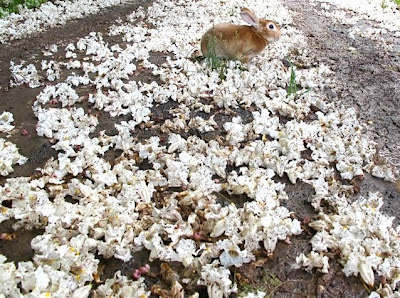 unless of course you ran over some of the flowers with your car before you realized that maybe you can drop everything, go back to the cabin, be 30 minutes late so you can go grab a bunny for some quickies. sorry about the dirt speckles, but now he looks like he's been 4 wheelin', oh my rugged bunnies! 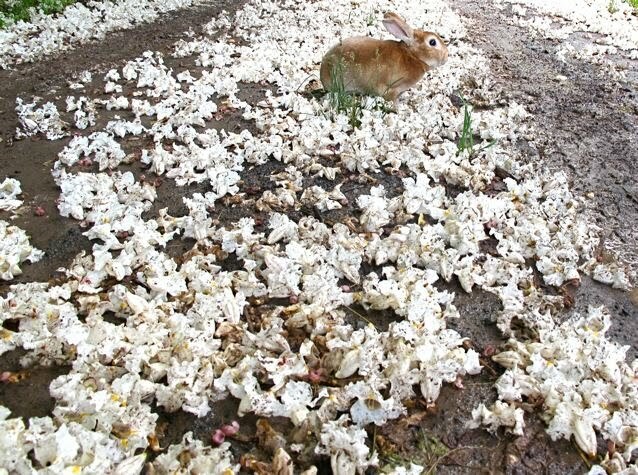 These photos are so amazing, wow....Alice, do your bunnies never run away into the bush??? Always beautiful. Always brings a smile to my face. Glad to see Mandy is here. She is a doll.